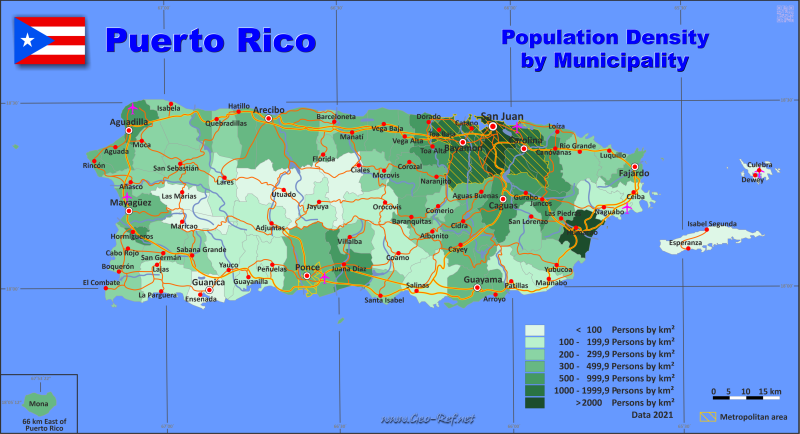 Puerto Rico - Click on the map to get a enlarged image in PDF format! The population data in the table below is a estimation for 2017. For Puerto Rico is no ISO code assigned until now - instead of the ISO code is included the FIPS code in the table below. This code is usually used in the United States. Click on the column header brings the table in order of the column header. The default order is the Municipality name.